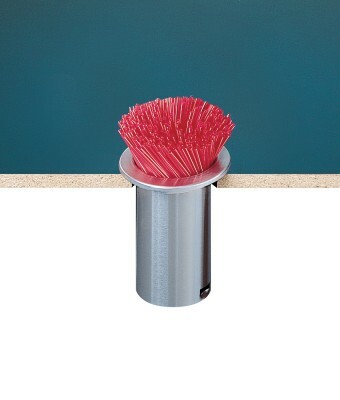 Our In-Counter Straw Dispenser provides convenient straw and stirrer storage and dispensing. Mounting ring securely locks into place. In-Counter Large Trash Chute Our easy-to-install Large Trash Chute helps keep countertops clean.